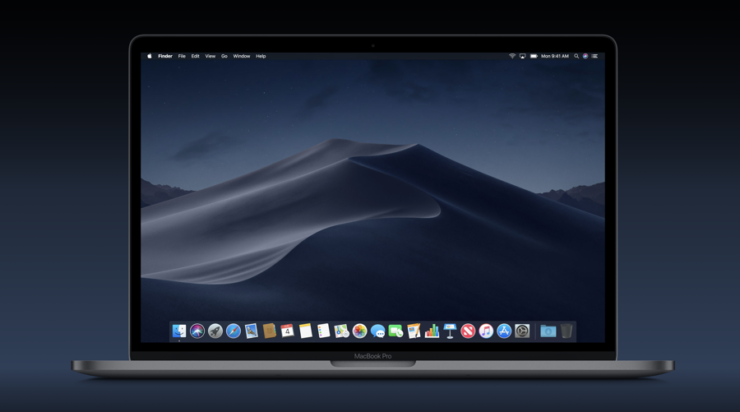 Today Apple has seen fit to release the fourth beta of macOS Mojave to developers for testing purposes. The update arrives two weeks after the company seeded the third beta of the firmware. It has been more than a month since the update was first unveiled at the Worldwide Developers Conference. So let’s dive in to see what the fourth beta of macOS Mojave has in store for developers. As to begin with, macOS Mojave introduces a new method of installing updates. Once you have installed the appropriate profile from the Apple Developer Center, you can download the additional beta by clicking on the Apple in the menu bar. Simply choose “About This Mac” and then click on “Software Update.” Apart from this, as an alternative method, you can also choose the “Software Update” icon. Other than this, macOS Mojave also supports a systemwide Dark Mode which is one of the most appealing features on a Mac. The Dynamic Desktops are wallpapers that change subtly throughout the day. Furthermore, Stacks is a new organization system that keeps all of your files organized. Finder has also been enhanced with a Gallery View a Quick Look option and Quick Action so there’s a lot more than you can do with it. The new Markup tool now allows you to edit screenshots. Another worthy feature allows you to record your screen. The Continuity feature, on the other hand, allows you to import documents and photos directly from your iOS device. The Apple Store has also been revamped with macOS Mojave which will make it easier for users to discover apps. Applications are now way more organized and positioned neatly. The fourth beta of macOS Mojave also features support for the new MacBook Pro 2018. So that is a welcome addition. However, at this point in time, it might be too young to ask if the fourth beta of macOS Mojave have any forward-facing addition to the table. We will let you guys know as soon as developers are done tinkering with the new update. There will be more to the story, so be sure to stay tuned in for more details. This is all for now, folks. What are your thoughts on the fourth beta of macOS Mojave? Do you think it will incorporate any front-facing addition? Share your views with us in the comments.